Heather Seidelman, a Chicago native, and leading sales associate with @properties since 2008. 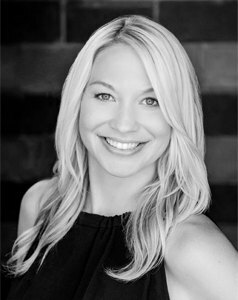 Heather's exceptional interpersonal, verbal communication and interactive skills have enabled her to work effectively with buyers, sellers & agents throughout the toughest negotiations. Managing client expectations and her dedicated service during and after the sale has resulted in Heather's business to thrive primarily by referral and repeat clientele. Heather has enjoyed living in many neighborhoods in Chicago including Lakeview, Lincoln Park, Ravenswood, Bucktown & currently Logan Square. She enjoys the culture of the city and is always checking out a new spot to dine. Heather is involved in the community and volunteers with Little Brothers Friends of the Elderly, an organization that reaches out to befriend the elderly in the Chicago by hosting luncheons, holiday parties and home visits. "Heather made my entire home-buying process easy & fun! From her quick responses to attention to detail, I would recommend Heather & plan to use her in the future!"